Keep your fencing strong and study with Fencing aggregates from Challenge Fencing. If you’re searching for fencing aggregates for your garden fencing then we have a choice of aggregates to choose from. 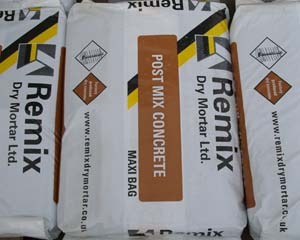 You could decide to mix cement and ballast and choose the quality aggregate products available from our website. 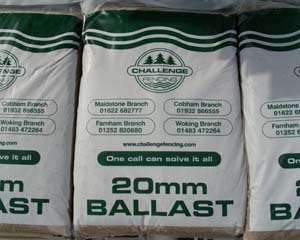 Alternatively, you could choose to use post mix for your fencing aggregate needs and choose the quality post mix available from Challenge Fencing. Our post mix is pre mixed for ease of use, this way you can wave goodbye to wasting time with mixing ratios and mind numbing mathematics. Additionally, deciding how much post mix you need is simplified. One bag of post mix will suffice for installation of one fence post, so just follow the instructions and install your fence posts! If you choose to use cement and ballast as your fencing aggregates then we have two great products for your fencing needs. 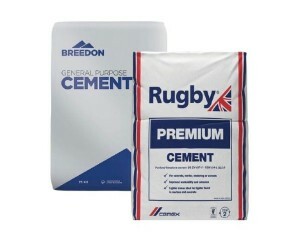 Our cement comes in an internal plastic bag to prolong the life of the product before use. If you’re mixing our cement with our ballast, one bag of cement will be enough for four bags of ballast. Our ballast is a mixture of coarse gravel and sand. Once mixed with cement (four bags of ballast for every bag of cement) the mixture will be enough to erect a single fence post. Are You Searching For High Quality Fencing Aggregates? Visit Your Local Challenge Fencing Branch Or Give Us A Call! We have a fantastic choice of fencing aggregate products for you to choose from. In addition to these great products you can also choose to purchase fencing posts, fence panels and other fantastic fencing, decking and landscaping products from Challenge Fencing. So if you’re planning any projects in your garden, visit your local Challenge Fencing branch! If you would like any additional information about our fencing aggregates or any of our other products, please feel free to visit our friendly team in store at your local Challenge Fencing branch. You can also get more information by contacting our friendly and dedicated team. Our team will be able to assist you by answering any questions you might have regarding the many fantastic products available from Challenge Fencing. If you would like to contact our team by telephone, please call your local branch. If you would like to contact our team online, you can do so by filling in our contact form.